32 year old Putney resident Justin Rose has become the first Englishman to win the US Open since Tony Jacklin scooped the prize in 1970. Rose carded a closing 70 to finish one over par at Merion Golf Club near Philadelphia yesterday, realising a childhood dream and paying tribute to his father Ken who died in 2002. "I don't know what to say, I'm thrilled," said Rose, "... you look to the heavens with it being Father's Day - I was just trying to remember my dad." 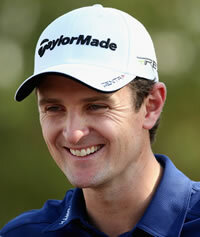 Justin Rose was born in South Africa where he lived until he was five, and first came to prominence as an amateur at the 1998 Open Championship. After finishing second to Tiger Woods in this year's Arnold Plamer Invitational, he rose to a career high world ranking of 3rd. He married long-time girlfriend Kate Phillips, a former gymnast, in 2006 and they have two small children. They have a house in Lake Nona, Florida and a riverside flat in Putney.